Helly Hansen Aden Down Parka. 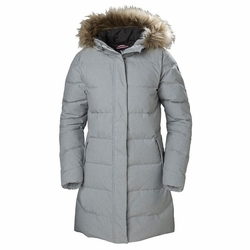 A long, feminine down filled parka to keep you warm and comfortable is an essential when the cold sets in. Featuring Allied down fill for that warm cozy feeling and paired with water repellant fabric for protection, this is the perfect parka for those extra cold days.